European new-car sales rose 16 percent last month with most volume brands except scandal-hit Volkswagen showing strong gains. Registrations increased to 1.33 million in the EU and EFTA markets, helped by an extra selling day in a number of markets and stimulus measures in eurozone countries. "Looking ahead, it is expected that the market will maintain its positive momentum," industry association ACEA said in a statement today. Five-month registrations were up 9.7 percent to 6.58 million vehicles. The increase in May was the 33rd consecutive month of growth. ACEA in early June raised its full-year EU car-market growth forecast to 5 percent from 2 percent. Volkswagen Group sales rose less than the overall market in May at 8.8 percent, hurt by slow growth at VW brand and falling sales at Seat. VW brand's volume was up 4 percent while Seat sales declined by 0.4 percent. Other group brands did better. Audi's volume increased 20 percent while Skoda sales were up 14 percent. Porsche sales gained 6.1 percent. Sales at PSA Group, Europe's second-biggest automaker after VW Group, increased 18 percent while combined sales at Renault and Dacia rose by 28 percent. Opel registrations jumped 12 percent, while Ford was up 7.8 percent. Fiat Chrysler Automobiles' volume gained 25 percent, helped by a 27 percent increase in Fiat brand registrations. Germany's luxury nameplates Daimler and BMW fared well, with the core Mercedes and BMW brands jumping 15 percent and 22 percent respectively. Download PDF for Europe sales for May and five months, above right. Four of Europe's five biggest markets recorded double-digit sales gains, led by Italy and France where registrations surged 27 percent and 22 percent respectively, while the region's No. 1 market Germany posted 12 percent growth. 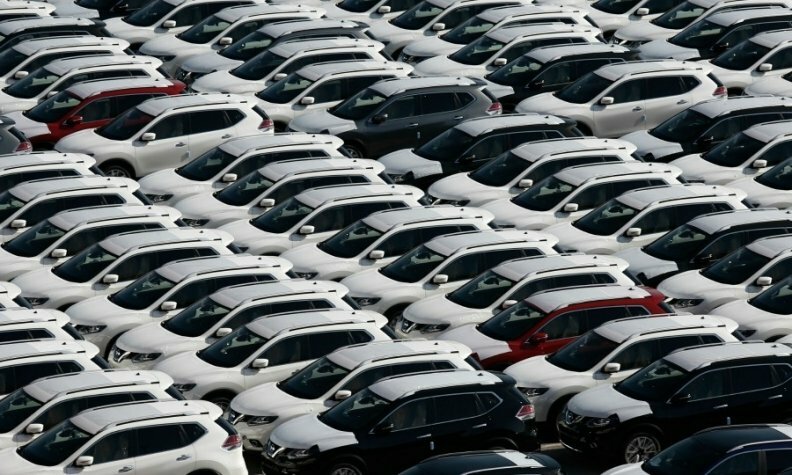 New-car sales were supported by stimulus measures from the European Central Bank which helped boost economic confidence in May to a four-month high in the countries that share the euro. In contrast, growth at Volkswagen has been held back by recalls in Europe to make its rigged diesel engines compliant with type approval regulations. “The main reasons for the auto market’s strong gains are stable economic developments, low interest rates and a largely comfortable consumer climate,” along with low fuel prices, Peter Fuss, a German partner at consulting company EY, said in a statement. At the same time,“many carmakers are granting high rebates or bolstering figures with self-registrations, at the expense of their margins," he said.